In the late 1980’s Thiokol Corporation was fabricating a large number of diverse solid propellant rocket motors. To do this, they were utilizing standard prepreg materials available during that era. Due to the very short life cycle of the material, the process of fabricating the large rocket motor cases became difficult and cost prohibitive. As is often the case, necessity leads to innovation and it was no different for Thiokol in this case. Chemists and engineers began researching a new type of epoxy resin prepreg system that would reduce material costs and provide internal performance and fabrication enhancements. They succeeded and developed a unique prepreg material with room-temperature storability up to 12-months. This was a huge breakthrough and a very significant development within the composites industry. A great deal of commercial interest developed around this new prepreg material. With that interest, in 1996 Thiokol created a new commercial division of their company called TCR Composites. TCR would be tasked with production, marketing, and selling of this new prepreg material worldwide. Thus, a new composites industry company had been born in Utah- one that would continue innovating and achieving great success. Although under new ownership, today TCR Composites is still in the business of formulating thermoset epoxy resin systems impregnated into various carriers. 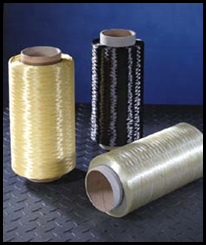 These prepreg materials are sold throughout the world and used in various markets including: aerospace, pressure vessels, industrial, recreational, medical, and automotive. 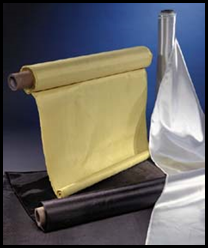 For TCR Composites, their uniqueness continues to be materials that are storable at ambient temperature for up to one year. This makes transportation and customer storage less costly, by not requiring cold/frozen storage. The longer shelf-life reduces customer concerns regarding processing and handling. The prepreg material remains in a soft and supple processing state, until the material sees elevated temperatures as part of the cure process. They are also made without any solvents in the resin systems, thus providing an environmentally friendly footprint. In addition to unique materials, the purchase of TCR prepreg includes a short 4-week lead time and includes access to their strategic customer service initiatives and laboratory testing capabilities. TCR prepreg products can also be tailored to meet customer needs. With the composites marketplace accelerating at rapid pace there is a race to develop new applications and innovations within it. Although trying to keep up with new technology and raw material enhancements can be a big challenge for TCR, they are committed to making it happen. With that vision, we think the future certainly looks bright for this exciting Utah composites company, TCR Composites.